The Demon ski / snowboard waxing iron would make the perfect gift for anyone who takes their snowboarding or skiing seriously. The Optimal waxing temperature is 260 Fahenheit / 127 Celsius. 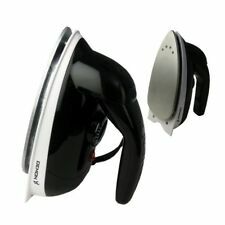 This iron has an adjustable temperature dial with temperature light. Great for waxing skis and snowboards. The Demon portable wax iron is perfect for tuning your own skis or snowboard. Demon Wax Iron. This Wax Iron is perfect for Skis and Snowboards. Mini Wax Iron. Demon Complete Tune Kit 220 (UK). TheDemon Complete Tune Kit has all the tools to fully tune your board or skis, just add the wax of your choice. The edge tuner hones the edges to 88° and 90° so you can be sure to get the hold you need, be it on soft snow or ice. Fits boards or skis up to 165cm in length. Demon wheelie bag snowboard bag with heavy duty urethane wheels. Tough construction, lots of space, built to handle tough travel through the airports. Board Bag. The Demon portable wax iron is perfect for tuning your own skis or snowboard. Pick your favourite Demon Wax and shred the mountain. Demon Ski and Snowboard Base Tuning Wax Iron. Demon Unisex DS 5100 Shield Vest 2016 - Extra Small. 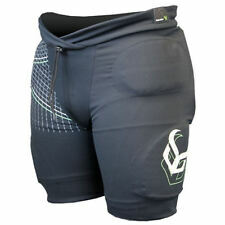 If your looking for serious core protection the Shield Top and Vest will treat you right. NOTE: Optional Extra on request - the SAS Chest Plate for greater chest protection - fits into the concealed pocket inside the Shield Vest. The Demon Complete Tune Kit – Demon’s most advanced tuning kit for snowboards and skis – now with White Lightning All Temp Wax. Demon Lighting All Temp Wax – A hard base wax which has been designed to be used all season long and in all weather conditions. A snowboard & ski tuning wax kit from Demon. The Demon Season Pass Kit is everything you need to maintain your snowboards and ski's. The Demon Season Pass snowboard/ski servicing kit would make a lovely gift for anyone who takes their snowboarding or skiing seriously. Hang your snowboard with pride and at any angle. Let those skiers know " MY HOUSE - MY SHIZZLE ". Skiing and Snowboarding. Perfect for skiing, snowboarding or any other snow activity. Our mission in life is to equip you for your adventures in life. If the product is faulty in any way (unlikely as it is!). Demon Mini Wax Iron 110-220V UK Plug inc. White Lightning Snowboard Ski Wax. The Demon portable wax iron is perfect for tuning your snowboard. 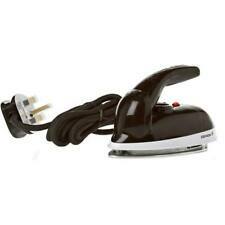 Demon Mini Wax Iron 110 - 220 Volt with UK 3 Pin Plug. Also includes Demon Team Wax Universal 1 Bar 133gm. The Demon Ski or Snowboard edge file is a tough and sturdy steel edge file that is perfect for tuning skis or snowboards. · The ratchet has a 3 position switch for screwing, unscrewing and fixed operation. A snowboard stomp pad will give you a surface for your back foot to grip onto. 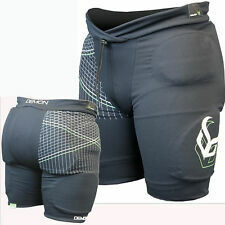 This is perfect for situations where you only have one foot in the binding, like getting on and off chair lifts and skating between lift lines. Size Gents X/Large. Colour Black. Elasticated wrist with adjustable strap. Hipora waterproof,breathable glove insert. Warm comfortable gents snowboard/ ski gloves. RRP £29.99 reduced to clear. An added soft-gel layer is fitted in between the wrist and the splint for a better fit and more comfort. Using integrated D3O wrist protection and a Dupont Hytrel splint, the guard protects the wrist for any falls whilst riding. This mini lock from DEMON gives the security you need for your much loved snowboard, you know the scene when you've finished your last run and you all rock up at the local watering hole for one or two! Demon Complete Snowboard/Ski Tune Servicing Kit Repair/Service/Tuning Demon Complete Snowboard/Ski Tune Servicing Kit Repair/Service/Tuning Demon Complete Snowboard/Ski Tune Servicing Kit Kit includes- Edge tuner Tuning stone Wax scrapper Flat file Wire brush Mini iron Polish pad Ptex Carry case Demon's most advanced tune kit. Cool Demon and TSE Graphics. Tapered Sidewall Construction. 5mm Padding All Round. The Demon edge tuner tool is the ideal way to keep the edges of your snowboard or skis in great condition. This handy pocket size tool will quickly remove any rust, nicks or blemishes. Keeping your edges in good condition greatly improves the handling of your snowboard or skis. Your wrists and hands both are prone to getting injured during any sport. 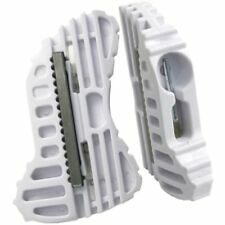 Whether you're new to snowboarding or carving like a veteran, protection for your wrists is a must have! A lightweight wrist guard that fits easily under gloves so you can get on with riding and forget about worrying. The Demon Beast snowboard stomp pad is oval in shape with deep treads up to 1cm high which makes it perfect for keeping your back foot planted when one foot is out of your rear binding or if you are skating around. BNIB Demon Armor Neoprene Face Guard (DS5108 ) Size_ Large In Black.